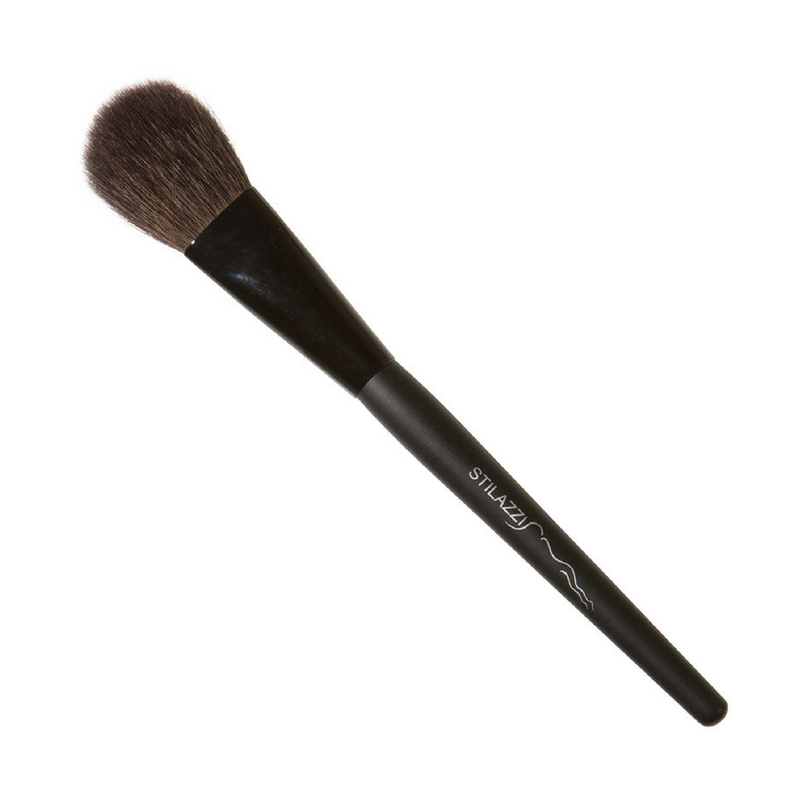 Shape: Medium Sized Soft Chiseled Dome Brush. Designed for: Blush & Highlight Powders. Precisely cut to put just the right amount of color on the face to enhance the cheek bones.